The Strike Out Star Bowling Trophy will awe your guests. 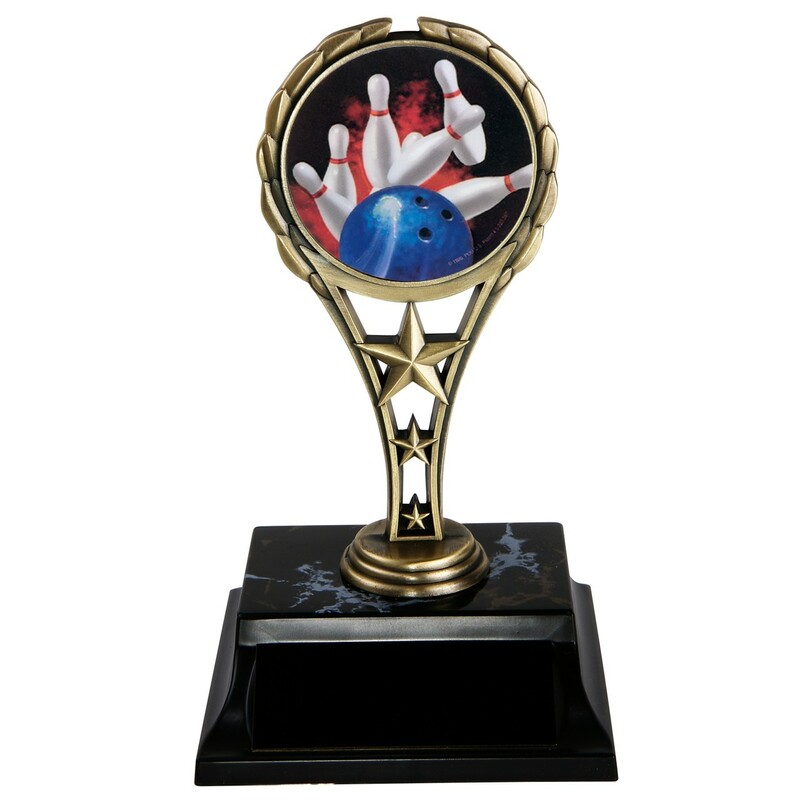 This 7 inch trophy features a metal golden rising star figure with a realistic full color holographic bowling insert. The black base features your custom engraving on a black plate with golden letters. Price includes up to 3 lines of engraving.